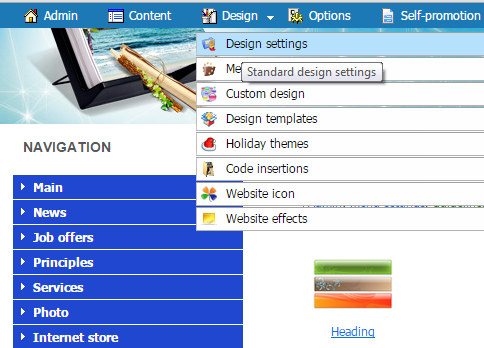 If you wish to choose the heading for your website form the design collection, click on the "Choose from the collection" hyperlink. 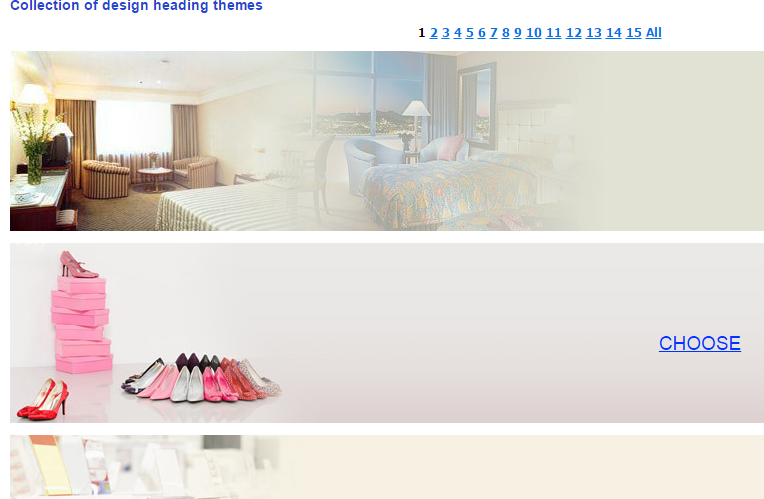 We offer you more than 80 designs. 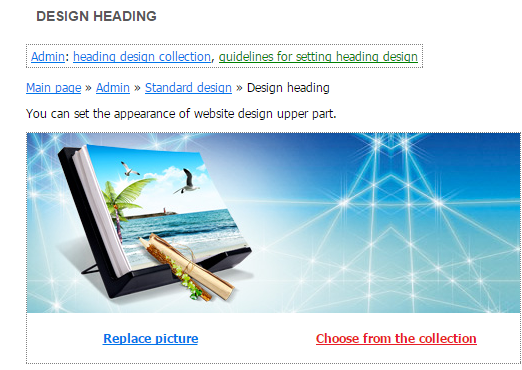 Click on the "CHOOSE" hyperlink on the design that you like. 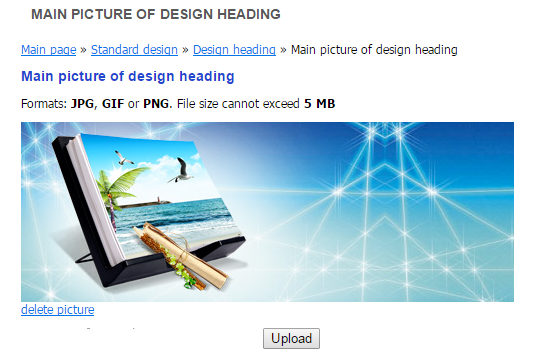 To replace the design heading image with your own image, use the: "Replace picture" hyperlink and upload your own image. 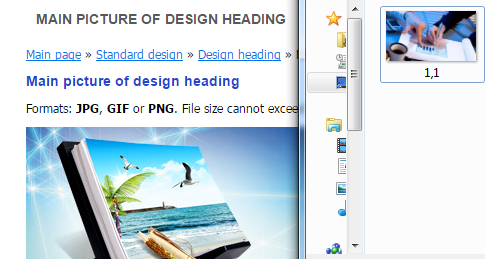 We recommend using following size for the website heading image - 326px (width) x 180px (height).